Introduced for 1956 model year, the MGA roadster replaced the aging T-Series cars. Powered by a 68 horsepower 1,489cc overhead valve engine mated to a four-speed manual transmission it featured, independent front suspension, rack-and-pinion steering and a solid rear axle with leaf springs. Braking was by hydraulic drums at all corners. Sales in the first full year (1956) were 13,394 and rose to 16,467 for 1957, by which time horsepower was up to 72 horsepower and a coupe was added. In 1959, the MGA 1600 was introduced with a larger 79.5 horsepower engine and front disc brakes. The final iteration of the MGA was the 1600 Mk II, with a 90 horsepower 1,622cc engine, and minor styling changes. 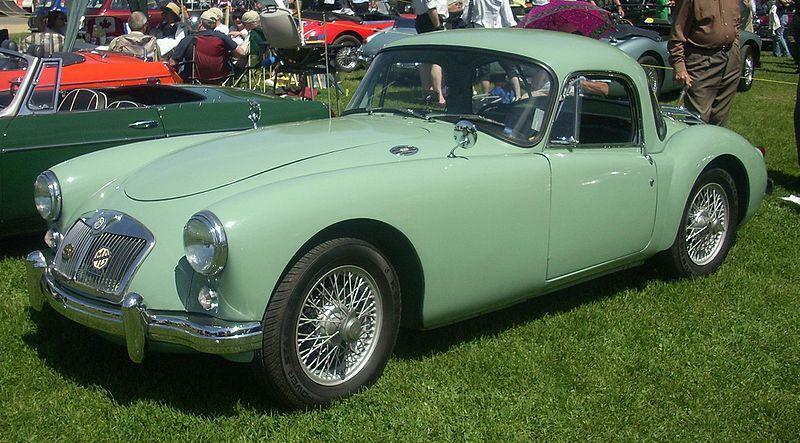 The higher performance MGA Twin Cam was produced from 1958 into 1960 with a 108 horsepower twin cam engine and four wheel disc brakes. The rarest of all MGAs is the “Deluxe,” which mates the Twin Cam chassis and a 1600 or Mk II engine. MGAs are ideal first collector cars. They’re affordable, simple to work on, rugged and attractive. Parts are readily available and moderately priced. Click here to read Hemmings Motor News' Buyers Guide for the 1956-1962 MG MGA.